Conan and Herman, P.A. fight for the results that their clients want and deserve. Conan and Herman P.A. will actually be there to represent you throughout your entire criminal case. The Law Office of Conan & Herman is dedicated to obtaining the best results possible for a person accused of violating any criminal law in Central Florida including Orlando and Lake County. If you have been arrested, your entire future may rest on the outcome of your criminal case. For this reason, it is extremely important that you select the right criminal defense attorney to fight for your constitutional rights, regardless of what you may be accused of. No matter what type of charges you are facing, or if you’re currently under a police investigation, calling a lawyer for a free consultation should be your top priority. 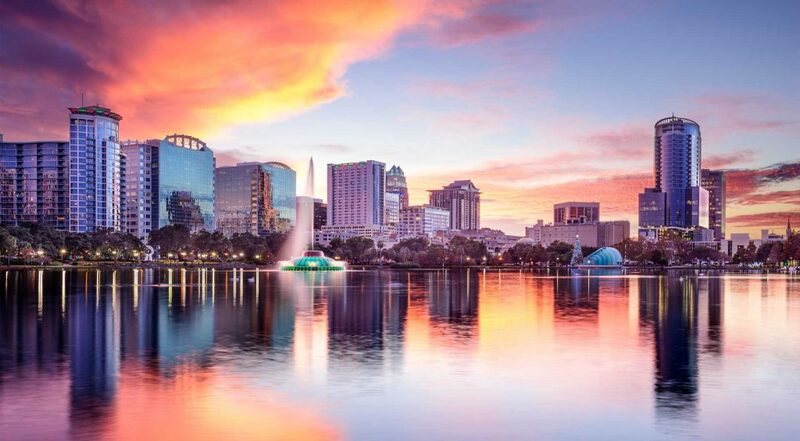 If you or a loved one have been arrested in Orlando, Lake County or any of the surrounding communities, you want the reassurance and peace of mind that comes with knowing that a competent Orlando criminal lawyer will oversee every crucial detail to ensure the best possible results for your case. A hefty criminal record can drastically impact your social life, your education, your family, and your ability establish a career in a reputable field. Your entire life will be potentially affected by the outcome of your defense, and at Conan & Herman, PA, we are determined to defend your right to a fair and just outcome. The Law Office of Conan & Herman, PA, is dedicated to obtaining the best possible results for any person accused of violating any criminal law in Central Florida including Lake County and Orlando. We understand the importance of selecting the right Lake County or Orlando criminal defense lawyer to fight for your constitutional rights, regardless of what you may be accused of. That is why we provide our clients with all the necessary respect and attention that your case deserves. We will fight for your defense, treating every client as though they were family. Most people do not realize that they can easily cause damage to their record by handling criminal matters on their own. Attempting to navigate through complex legal issues without the guidance of a knowledgeable professional often results in weeks or months of stress and confusion, ending with charges far worse than what you truly deserve. Under some circumstances with early involvement of an Orlando Criminal Defense Attorney, it may be possible for charges against you to be reduced, or to prevent the formal filing of any criminal charges. An accomplished criminal defense attorney in Orlando, FL or Lake County, FL can help you to avoid the harshest penalties, in many cases seeing charges that are reduced or dropped entirely. Relying on assistance from an uncaring state-appointed representative with minimal expertise can leave you with dissatisfying results that harm you for the rest of your life. Regardless of the facts of your case, it is very likely that representation by an experienced board certified Orlando criminal defense lawyer or Lake County criminal defense attorney would assist you in obtaining a better resolution. You can quickly and easily request a thorough same-day consultation with a qualified Orlando criminal defense attorney either online or over the phone. No matter what type of charges you are facing, or if you are currently under a police investigation, calling an Orlando criminal defense lawyer for a free consultation should be your top priority. Whether you are charged with a criminal offense or under a police investigation, every aspect of your life including your education, social life, family, work, etc. will be affected to a large extent. This is why you need the expertise of a qualified Criminal Defense Attorney in Lake County to represent you in your criminal case. At The Law Office of Conan & Herman, P.A, we are known to provide strong representation in the court of law. We are a team of highly competent Lake County Criminal Defense Attorneys that possess several years of experience, and a broad knowledge of criminal law. Using the resources available at our disposal, we promise you will receive first class representation and professionalism. The outcome of a criminal case can make or break your entire future. The Law Offices of Conan & Herman are the qualified Lake County Criminal Defense Lawyers you can always count upon to be there for you every point of the way. We will carry out necessary investigations, gather all required evidence, and do everything that needs to be done to put you in the best position possible to win your case. Individuals make mistakes and deserve a second chance. At The Law Office of Conan & Herman, P.A, we believe that everyone deserves a free and fair trial. Our qualified team of Criminal Defense Attorney in Lake County will offer you a strong representation in your criminal case. We won’t stop fighting for you till the case comes to a verdict. Together, Conan & Herman, PA, share a combined experience of over 40 years in Florida criminal trial law. By focusing exclusively on criminal defense, we are able to guarantee availability and expertise with an unmatched dedication to our clients. Your case will not be hastily thrown into a pile of others to be quickly overlooked. Instead, you will experience detailed guidance through every step of the process, reassured by the professionalism and knowledge of a qualified Lake County criminal lawyer. At the Law Office of Conan & Herman, P.A., we pride ourselves on being knowledgeable about the law and always accessible to our clients. By picking up the phone and calling our office, you will speak to a person that works with the actual firm and not an answering service or ineffective third-party representative. One of our two distinguished Lake County criminal defense attorneys is available, twenty-four hours a day and seven days a week to answer your calls. So pick up the phone and call today to discuss your criminal case and schedule a free consultation. WHY CHOOSE CONAN & HERMAN? If you have any legal question, please contact the Law Offices of Conan & Herman, P.A. today. Our consultations can be scheduled the same day for an office or telephone consultation. If you need an attorney for a case in Orange County, Lake County, Osceola County, Seminole County, Polk County, Volusia County, Brevard County, Marion County, Sumter County, or any of the surrounding counties in Central Florida, contact our office today. You’ll always speak to a lawyer and not an answering service! Rest assured that you’ve found the right firm that will act immediately to protect you and your rights. Notice: No information contained in this website constitutes legal advice. If you have concerns regarding your Bar admission, consult with an attorney. No attorney-client relationship exists between a visitor to this website and Conan and Herman. Information emailed through a website inquiry to Conan and Herman will not be treated as confidential and as such, limiting an emailed inquiry is strongly encouraged. 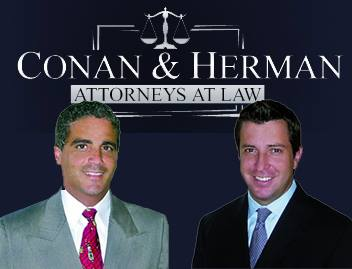 Any information received from Conan and Herman in a consultation is only general and should not be relied upon as a substitute for personal and individualized legal advice. An attorney-client relationship begins only when Conan and Herman have accepted representation through mutual agreement with a prospective client. Call us NOW at 407-872-3999 or use the form to the right to contact us.